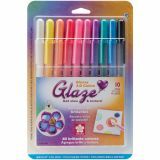 Gelly Roll Glaze Bold Point Pens - SAKURA-Gelly Roll Glaze: Gloss. This transparent pigmented ink dries to a glossy glaze look in 45-60 seconds. Does not bleed through most papers and vellum and is water resistant. Fabulous on smooth surfaces and clings to most non-porous materials. Add 3-D texture to scrapbook pages, cards, wedding invitations, ceramic and glass. 0.8mm ball produces 0.7mm bold line. 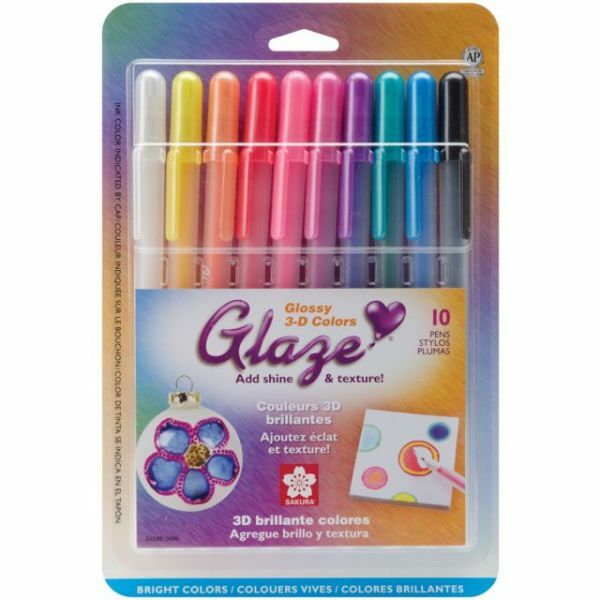 Package contains ten pens: white, yellow, peach, 3 shades of pink, purple, green, blue and black. Conforms to ASTM D4236. Imported.